I am on the Barnes and Noble Long list for the week of 4/21/08-4/28/08. Thank you whoever put me there! 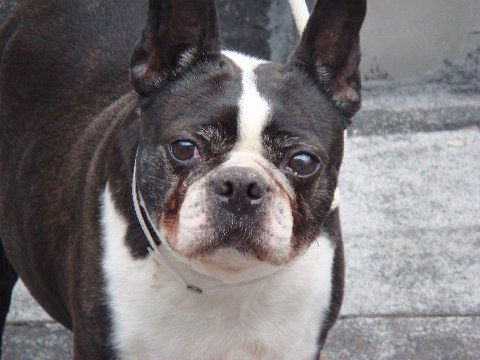 We picked up a new foster dog today at the Manhattan Animal Care & Control (the NYC pound) (I’m a member of New England Boston Terrier rescue). So far he’s as sweet as can be, quite obese, and he’s got kennel cough. He’s frightened as most new fosters are but we think he’s going to be just fine.